My favourite room in every home is always the kitchen. 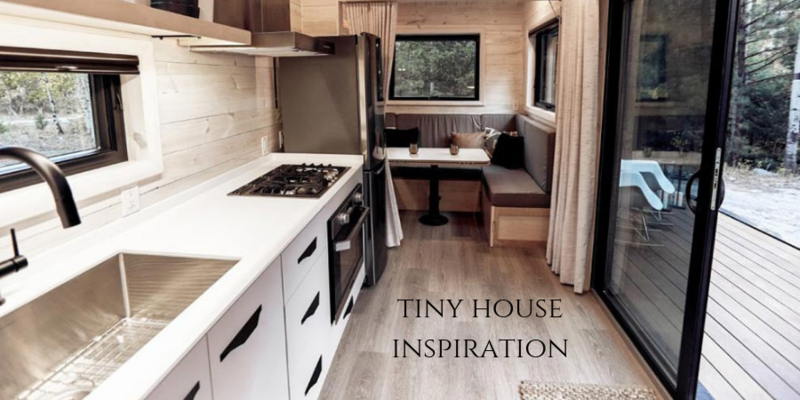 I want to share a couple of great tiny house kitchen inspiration photos on the blog. 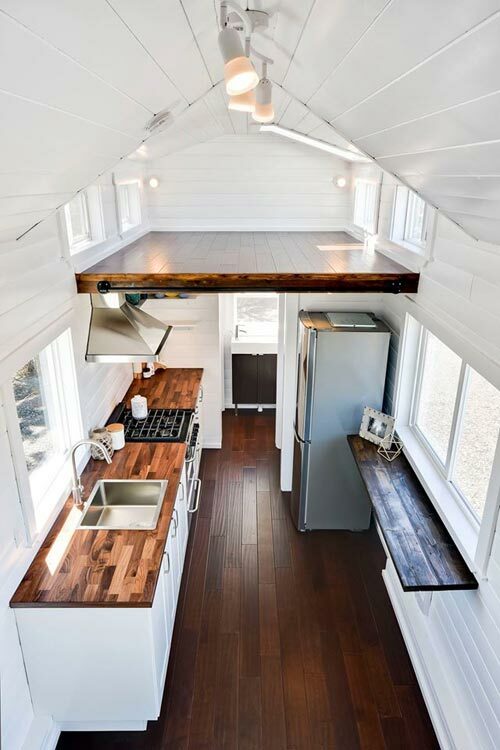 We’re in the planning phases for our tiny house so one of these might spark the idea for our kitchen. There’s nothing I love more than wooden counter tops. And dark wood against white cabinets are the perfect match. 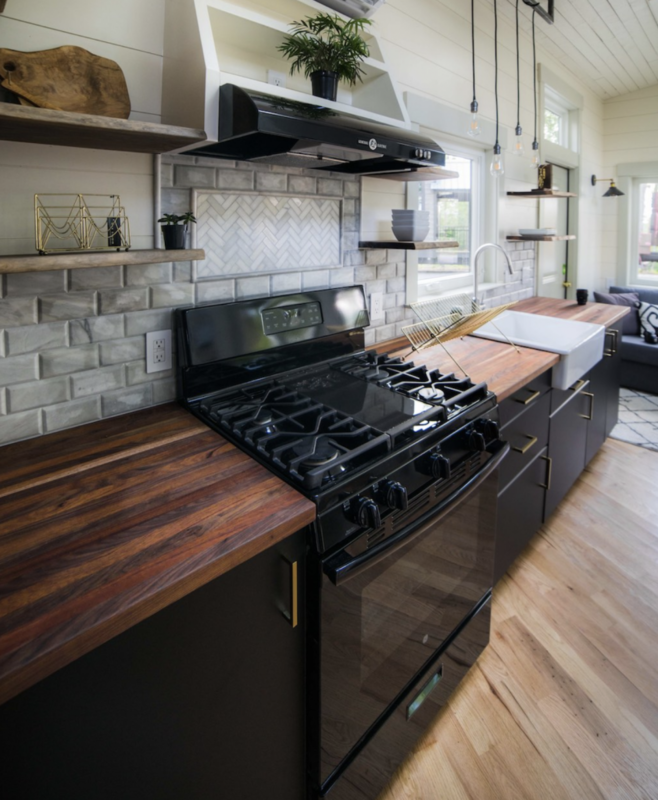 Even in small kitchens, counter space is super important. I love that there’s three different spots to use the counter space. I can’t imagine a kitchen without a full size oven. I want to be able to cook all of our regular meals and bake as well. Hi Carmen; I’m from Cheticamp also and have to say I’m going to love following your journey! 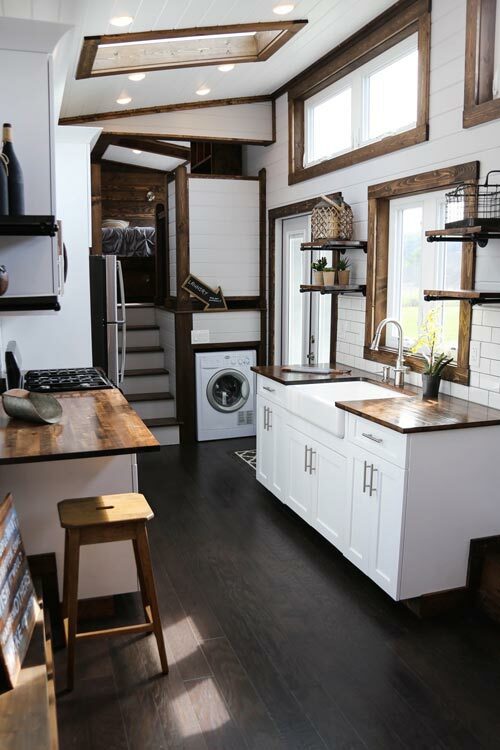 I now live in Halifax, but am obsessed with tiny house and small space living. I’m continually moving toward a minimalist/low waste lifestyle. Wondering if you also have a youtube channel? Good luck in all your journeys! Welcome to the blog and to the adventure! So happy to hear you’ll be following along! I’m not sure if they’re still happening, but two years ago there were some Tiny House Meet Ups in Halifax. They seemed so interesting but we never were able to make it up. You could look them up if you were interested in meeting some other people in Halifax who have common interests. 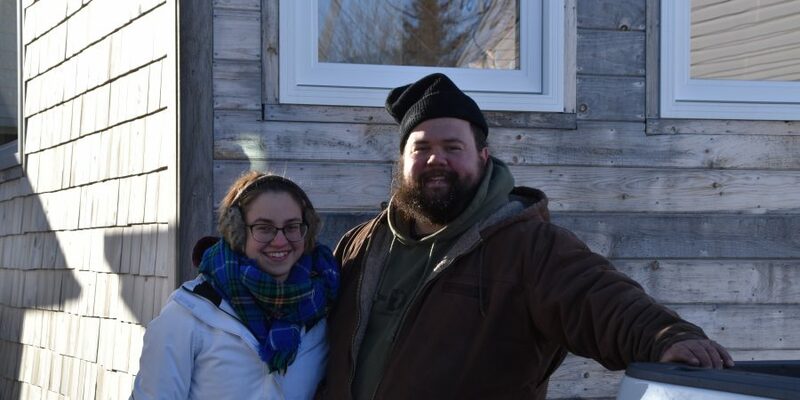 We are posting all about downsizing right now, and look forward to publishing our first video about our very own tiny house as soon as the snow melts!